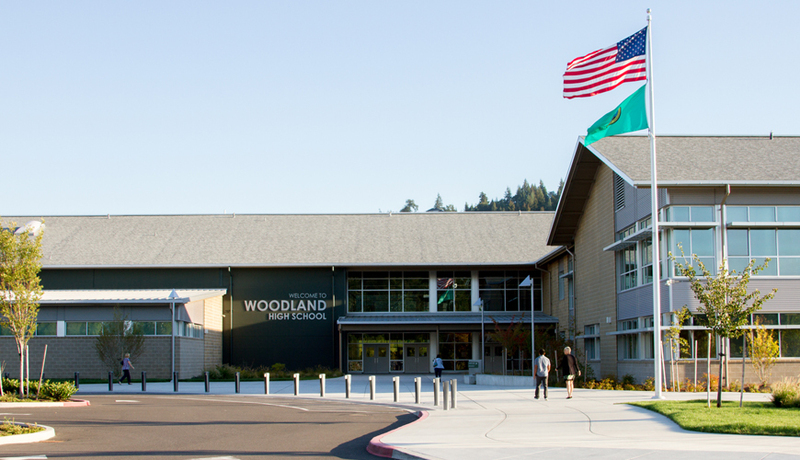 All Woodland schools practice numerous drills as part of the Standard Response Protocol (SRP) program, designed not just for individual scenarios, but as the response to any scenario. By standardizing vocabulary and practices, students and staff can understand the response and status of an emergency event. A Lockdown is called when there is a threat or hazard inside the school building which may include parental custody disputes, intruders within the physical boundary of the school and other situations resulting a threat from inside the building. Lockdown protocol utilizes classroom security to protect students and staff from threat. Lockdown protocol requires locking individual classroom doors or other access points; moving room occupants out of line-of-sight of corridor windows; and having room occupants maintain silence. Teachers and student training reinforces the practice for not opening the classroom door once in Lockdown; no indication of occupancy should be revealed until first responders open the door.